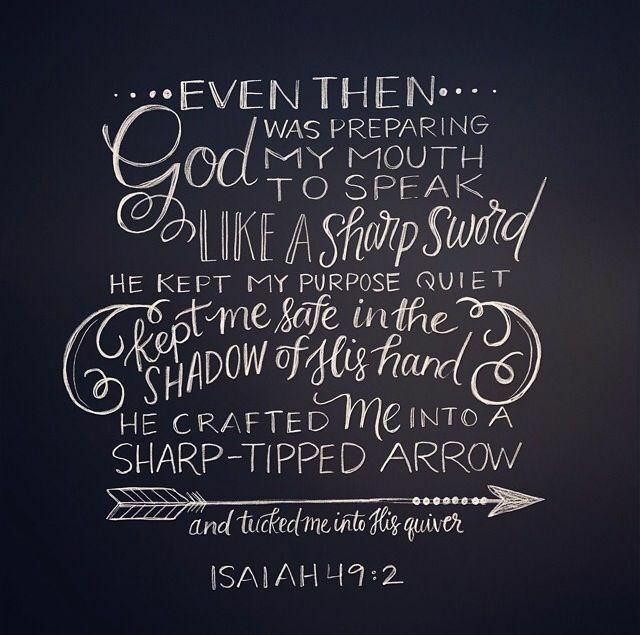 In His quiver He has hidden Me. I am very excited to be introducing this column. My name is IBK and I will be your guide on this tour of life from the God point of view. We will be discussing various life issues and tackling them head on with the ultimate objective to uncover what God is saying. In a world of noise and so many doctrines, beliefs and theologies, tendencies to get lost in the wrong teachings are high and this is why God inspired this column where all our discussions will be Word based and inspired by the Holy Spirit. There will be no human absolutes and ALL conclusions will be drawn from the Bible. On this prophetic declaration, I anchored my prayers in preparation for the launch of askIBK.com. It is my prayer that on the Sword and Arrow Column we will Study to shew ourselves approved unto God, a workman that needeth not to be ashamed, rightly dividing the word of truth. (2 Tim 2v15). I am extremely excited for this column and can’t wait for us to start this journey. The posts will come up every Sunday – fresh for your consumption and discussion. Kindly subscribe to the blog to be informed once a new post goes up so you do not miss anything as they come up. IBK is a Believer in Jesus Christ and proud to be! A Critique of everything possible and fathomable, a Scholar, Speaker, Counselor, Author, Musician and Role model to many. He is what goes on in his head, which is the most intriguing place for any human being to be in (ha-ha See what I did there). An HR Professional by day and a Super Hero by night, dedicating his life to fighting crimes and the forces of evil or so he likes to think. Looking forward to it. Welldone Ibk. With every thing which seems to be building inside this specific subject matter, a significant percentage of perspectives tend to be rather exciting. However, I appologize, but I can not give credence to your entire idea, all be it refreshing none the less. It appears to everyone that your comments are generally not completely validated and in reality you are your self not really completely certain of the assertion. In any case I did appreciate looking at it. you have got here on this post. I’ll be coming back to your blog for more soon. Hello Thanks for your comments. We definitely would love and can’t wait to have you as a regular reader of our blog. Thanks your referrals are most appreciated. Hello,I log on to your new stuff named “[SWORD & ARROW] INTRODUCTION – askIBK.com” like every week.Your humoristic style is awesome, keep doing what you’re doing! And you can look our website about proxy server list. Good post. I learn something more difficult on totally different blogs everyday. It will always be stimulating to read content material from different writers and observe a bit of one thing from their store. I’d want to make use of some with the content on my blog whether you don’t mind. Naturally I’ll provide you with a hyperlink on your web blog. Thanks for sharing. [ASK IBK] DEAR IBK, I’M YORUBA AND DATING AN IGBO GUY, MY DAD DOES NOT LIKE IGBO PEOPLE, WHAT CAN I DO? © 2018 askIBK - Web Setup by Bigfoot.